Ning Lilly & Jones specializes in complex civil litigation with an emphasis on commercial and construction issues, contracts, corporations, land use, wrongful termination, bankruptcy, and associated fields. Ning Lilly & Jones specializes in complex civil litigation with an emphasis on commercial law, including disputes involving contracts, corporations, partnerships and trusts, land use, property rights, condemnations, bankruptcy, reorganization and debtor-creditor transactions, and trustees and receiverships. We have an outstanding reputation representing both employees and employers in employment cases and represent both plaintiffs and defendants. Our attorneys have substantial appellate experience before the United States and Hawaii Supreme Courts and various United States Circuit Courts of Appeal. Our principals, Ke-ching Ning, Michael A. Lilly and Steve Jones, established the firm that is today Ning Lilly & Jones, in 1985. Commercial Litigation The Firm's attorneys have extensive trial experience and have gained a high reputation litigating substantial commercial claims before State, Federal, and administrative tribunals, arbitration and appraisal panels, and in negotiating settlements. This practice area includes real estate, commercial leasing, partnership, corporate, trust litigation, construction, condemnations, land use, and complex commercial collections. Employment The Firm has an outstanding reputation in Hawaii in the field of wrongful termination/employment relations. Its attorneys obtained one of the largest wrongful termination jury verdicts in state history. The Firm recently achieved particular acclaim when it took on a case against a large, prestigious Hawaiian law firm on behalf of one of its dismissed employment lawyers (see Chambers USA America's Leading Business Lawyers 2003-2004, p.213). It also provides consulting services representing management, employees and unions in employment, personnel, and labor law issues and litigation. 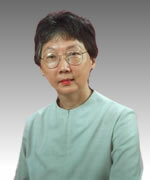 Ms. Ning is a Partner of the law firm and one of the founding partners in 1985 of what has become Ning Lilly & Jones. 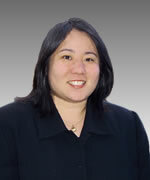 Ms. Ning's areas of practice are commercial litigation, real estate, and bankruptcy and reorganization. In 1977, Ms. Ning was admitted to the Hawaii bar. From 1976-1983, she was an associate at the Carlsmith law firm. She was an Adjunct Professor at the University of Hawaii, Richardson School of Law from 1983-1985 and in 1989, teaching "Debtor-Creditor Transactions". Ms. Ning has also served as a Lawyer Representative for Hawaii for the 9th Circuit Judicial Conference from 1996-1999, and was chairperson for the Federal Magistrate Selection Panel in 1998. From 1997-2001, she was a commissioner for the Ethics Commission for the City and County of Honolulu. Ms. Ning also is fluent in Chinese. Leading Lawyer in Employment and Labor Law, Chambers USA, 2003-2004. The Best Lawyers in America, 2008-2010 in the specialties of Commercial Litigation and Labor and Employment Law. Super Lawyers, Corporate Counsel Ed., recognized in the practice areas of International, 2009 and Business Litigation, 2009-2010. Hawaii's Best Lawyers, Honolulu Magazine, 2009-2011. 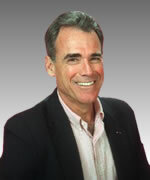 Michael A. Lilly is an attorney licensed in Hawaii and California. He specializes in commercial, wrongful termination and personal injury litigation and estate planning. He was born in Honolulu, Hawaii, and graduated with honors from the University of the Pacific's McGeorge School of Law ('74). He earned a B.A. from the University of California at Santa Cruz ('68). After returning to private practice, he won the largest wrongful termination jury verdict in State history ($2.1 Million). He also won landmark Hawaii Supreme Court cases on wrongful termination, the right to campaign for political office, land reform and open government. After protracted litigation, he obtained an exemption for guide dogs from Hawaii's 4-month animal quarantine, for which he was awarded the national Access Partners Award from Guide Dog Users, Inc., and the Helen Kinau Wilder Friendship Award from the Hawaiian Humane Society. He also was awarded the National Society of the DAR's 1999 Outstanding Community Service Award at an awards ceremony in Washington D.C.
Lilly is a Founding Director of the USS Missouri Memorial Association, Inc., having filed its Articles of Incorporation, serving as its initial Secretary, and assisting in the relocation of the Battleship to Pearl Harbor as a memorial and tourist attraction. He is currently a Trustee of Menlo College, Director of Diamond Head Theatre, Director of the Friends of Pearl Harbor, National Deputy Judge Advocate General and National Director of the U.S. Navy League and member of the Society of Attorneys General Emeritus Network. He is also past President of the Navy League's Pacific Region and Honolulu Council, Chairman and President of Diamond Head Theatre, President of the Naval Reserve Association's Pearl Harbor Chapter, and member of his law school National Alumni Board. He authored If You Die Tomorrow, a layman's book on estate planning and is a frequent speaker on legal topics at seminars and on radio and television. 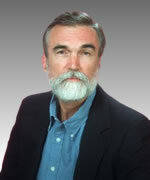 Mr. Jones' area of practice is commercial litigation, including partnership, corporate, fiduciary and real property disputes. He has represented bankruptcy trustees in both general counsel and special counsel capacities and served as discovery co-counsel for the Navajo Nation in breach of trust litigation before the U.S. Court of Claims. Ms. Kato was admitted to the Hawaii and U.S. District Court, District of Hawaii bar in 2000. Education: University of Hawaii, Honolulu (B.A., with honors, 1997); Georgetown University Law Center (J.D., 2000). Phi Beta Kappa. Senior Articles Editor, Georgetown Immigration Law Journal. Judicial Clerk, Hawaii Intermediate Court of Appeals for the Honorable Corinne K.A. Watanabe, 2000-2001. Member of the International Foundation of Employee Benefit Plans (IFEBP). Practice Areas: Commercial Litigation; Taft-Hartley funds.